Paul Hardcastle | VII - TheUrbanMusicScene.com | Music Reviews! Paul Hardcastle has unashamedly flown the banner for electronic music since 1984 while encompassing a kaleidoscope of soundscapes from hip-hop, R&B, funk and dance to numerous contemporary jazz recordings under the Jazzmasters, Kiss the Sky and under his own name. One of Hardcastle’s first endeavors was “You’re the One for Me” by underground soul man, D-Train. Pop music culture is most familiar with his early hits such as the techno-thumping, “19,” an emotional tale about the injustices of the Vietnam War. Many of those who were aware of “19” and another Hardcastle ultimate highlight, the electro-funk-invested “Rainforest,” may not be aware of his several soundtracks for U.K. television and remixes for Third World, Barry White and others. Yet contemporary jazz audiences have benefited the most from Hardcastle’s services, including being awarded the Billboard Smooth Jazz Artist of the Year in 2008 and charting at number one on the Smooth Jazz Charts since the early nineties. 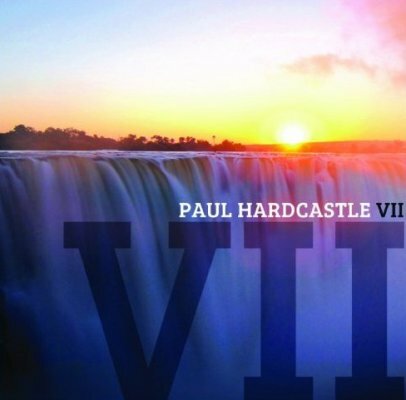 The latest in the Paul Hardcastle series, VII, remains true to the chilled out jazz side of this producer/musician. “No Stress at All” feeds off of Kool & The Gang’s Summer Madness, but Hardcastle injects his creamy smooth jazz spin with a sassy saxophone lead and vibraphone dustings. Paul’s daughter Maxine’s sultry lead voice enhances “Summer Love,” that glides on a sweet subtle R&B flavor with its swift percussive framing. The nimble and warm sax work saves “Crystal Whisper” from settling into a new age rut. “Easy Street” lends a bit of the blues feel to the mix and frankly pumps up a little needed liveliness to the already chilled out atmosphere. There is a mild drum n’ bass kick on “Dance of the Wind,” accented with solid saxophone and trumpet leads to carry the load. Unfortunately, the horns lack the spark on “Apache Warrior” thru the mundane beats and “Stepping on Shadows” are completely clouded in keyboard over-bliss. “Love Is A Power” possesses the complete package: the rich and crisp female backgrounds, funky orchestrations and a sensitive sax lead. “The Truth (Shall Set You Free)” opens as a near eleven minutes ambient suite that is a bold move for Hardcastle, delivering a few interesting vocal harmonics and some shifting rhythms in the process. This is clearly the better choice compared to The ‘Reprise’ version that overindulges in grooves. To really appreciate the full aspect of VII, everything here requires several listens to pick up on Hardcastle’s dense electronic layerings. The musicians he surrounds himself with like saxophonist Rock Hendricks help boost those backdrops. That said, VII soothes and satisfies the ears most of the time, despite the occasional monotonous sound blocks. Four and a quarter out of five stars.